Teton County Idaho does not currently accept Household Hazardous Waste. Teton County Idaho residents may dispose of their household hazardous waste at the Teton County Wyoming Household Hazardous Waste Facility; an appointment must be made before any hazardous waste is disposed of. Find on Links Tab. .A reimbursement up to $150.00 per year/person will be given. 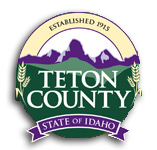 To be reimbursed, submit receipts to the Teton County Solid Waste transfer station. A substance is considered household hazardous waste if it is flammable, reactive with other chemicals to emit toxic gases or becomes explosive or if it is corrosive or toxic to human and animals. ALL latex/water based paints MUST be dry to be accepted! Copyright ©2010-2019 Teton County Idaho. All rights reserved.